High Prairie was originally inhabited by the Beaver Nation and named after the nearby river, Muskatayosipi or Prairie River in Cree. The town was part of the staging route to the Klondike Gold Rush and has become a major tourist center. It is only a 20-minute drive to Lesser Slave Lake, one of Alberta’s best recreational playgrounds, where the Golden Walleye Classic is held each year in mid August. 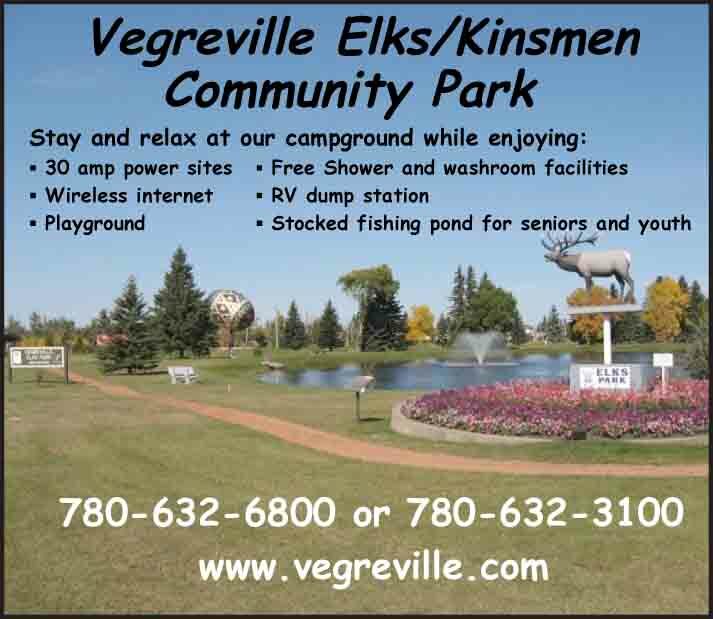 Full service campsites are available within town and 7 miles east of High Prairie. Winagami Lake Provincial Park is located 10 miles north on Hwy 749 and 8 miles west on Hwy 679. It offers 63 sites with boat launch, fishing, wading pool, playground and day use areas. 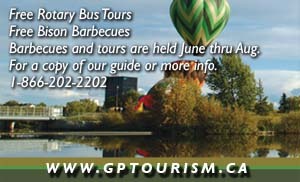 Open April to September 30 at (780) 523-0041. Special events include the High Prairie and District Amateur Rodeo Association’s Annual Spring Rodeo, held for 2 days in mid May. High Prairie Aboriginal Heritage Days take place over the 3rd weekend in June with Native dancers and musicians. The June North Country Fair is held at Joussard, 21 miles east of High Prairie. It draws over 5000 people and features a wide range of entertainers. The Elks Pro Rodeo in July is the biggest event of the summer and includes pony chariot and chuck wagon races. High Prairie Pro Rodeo is in August, as is the Agricultural Fair, which includes the Little Britches Rodeo, petting zoo, log sawing, horseshoe tournament and pancake breakfast. Sled Dog Races are held each February.